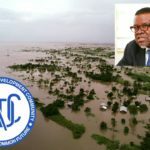 THE President of Namibia, Dr. Hage Geingob, in his capacity as the Chairperson of the Southern African Development Community officially declared Cyclone Idai a regional humanitarian disaster and launched appeal for assistance from the international community. Besides killing nearly a thousand people and displacing three million more the devastating cyclone that ripped through Mozambique, Zimbabwe and Malawi during March also destroyed and damaged economic and social infrastructure, which has immediate, medium-term and long-term consequences. Dr.Geingob said that the affected countries declared national disasters of their own but indicated that their own internal resources would be in inadequate to comprehensively address the situation. I am greatly honoured to welcome you to this official launch of the SADC Regional Appeal for Humanitarian Assistance in response to Tropical Cyclone Idai that unfortunately heavily affected, last month, three of our Member States, namely; the Republics of Malawi, Mozambique and Zimbabwe. The cyclone has been classified as one of the worst weather-related disasters ever experienced in the Southern Hemisphere. To date, more than 830 people have died in the three affected countries, approximately 2,300 have been injured, and nearly three million people have been displaced. The Cyclone also resulted in extensive damage to economic and social infrastructure, which has immediate, medium-term and long-term consequences. More than 800,000 hectares of cropland and crops have been destroyed, which will further compound the already drought compromised food security situation in the affected countries. The cylone also damaged road infrastructure and properties thereby impeding provision of assistance to the affected communities. Due to the severe and devastating impacts of Tropical Cyclone Idai, about three million people require immediate humanitarian assistance, including food, shelter, clothing, potable water, sanitation and medical support. The envisaged assistance will compliment national resources and efforts in ensuring early recovery of people in the affected communities who have lost everything, including their socio-economic livelihood. The intensity and gravity of the Tropical Cyclone Idai emphasises the need for collaborative efforts and support from partners to improve our preparedness and enhance the capacity to respond to the negative impacts of climate change and other disasters. It is for this reason that I am launching today, SADC Appeal for Humanitarian Assistance to save lives and alleviate human suffering of all the affected communities. • Promote early recovery and rebuilding of lives and livelihoods; and. In declaring their national disasters in the immediate aftermath, the affected Member States have indicated that their internal resources are inadequate to comprehensively address the situation. Consequently, I am obliged, on behalf of SADC Heads of State and Government, to declare the situation a regional disaster. The Appeal is based on national humanitarian disaster declarations by the three Member States, and is therefore a consolidation and complementation of their national appeals. Let me thank the three affected Member States for the swift action in addressing impacts and declaring national disasters, and for working tirelessly with national and international stakeholders to ease the suffering of the affected communities. Let me also take this opportunity to thank all SADC Member States, International Cooperating Countries and other stakeholders that have supported these three countries as they address this humanitarian crisis. I wish to emphasise that through our joint efforts, in response to disasters in the past, we were able to overcome the challenges. On behalf of SADC Heads of State and Government, I hereby now launch the SADC Regional Appeal for Humanitarian Assistance in response to Tropical Cyclone Idai.